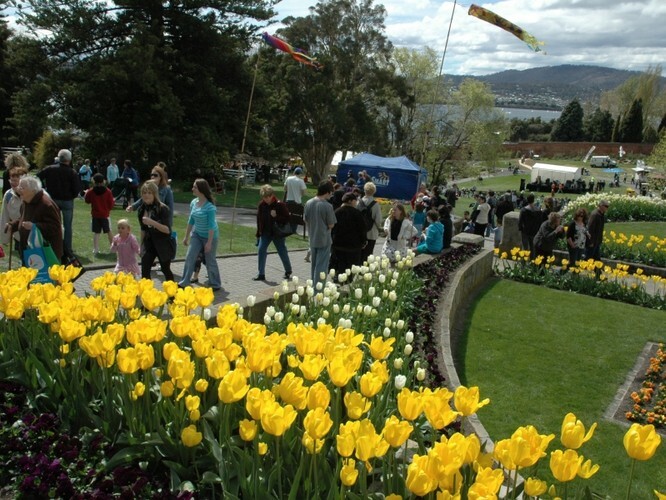 The Spring Community Festival is the Royal Tasmanian Botanical Gardens premiere festival overflowing with entertainment, activities, rides, food, wine and much, much more. Come along and be a part of a fun family day celebrating spring in Tasmania. More than 15,000 visitors are expected at the Royal Tasmanian Botanical Gardens for this year's Spring Community Festival. The weekend event will be held on October 6th and 7th with the vibrant annual display of spring colour providing a dazzling backdrop for a program of non-stop family entertainment, music and food. There are plenty of activates for the kids with a climbing wall, jumping castles, face painting, sports, fun and games.